Hi everyone! 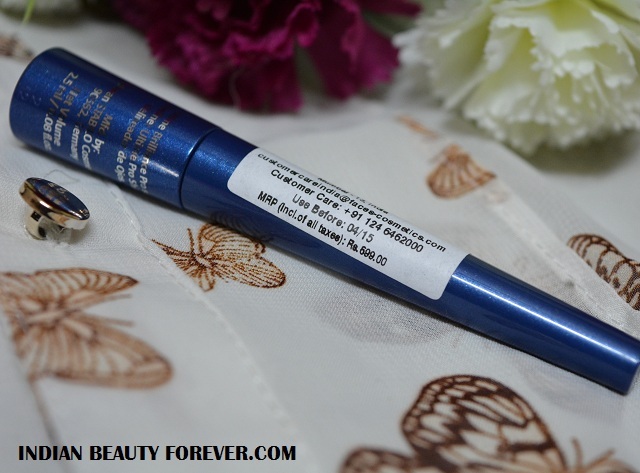 I will review Faces Ultime Pro Shine On Eye Liner in the shade Moonlit. 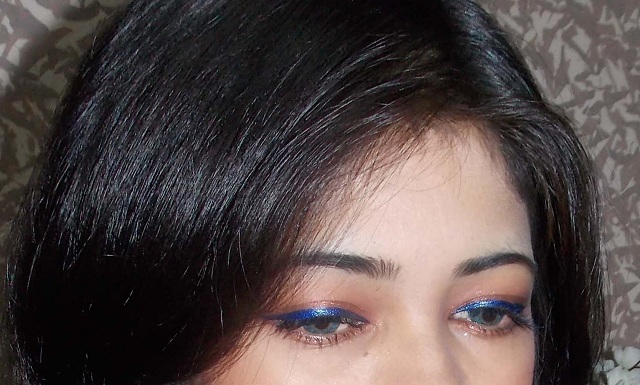 Colored eyeliners can beautifully accentuate the eyes when included as a part of your eye makeup during the evening. Green and blues have always been my favourites. 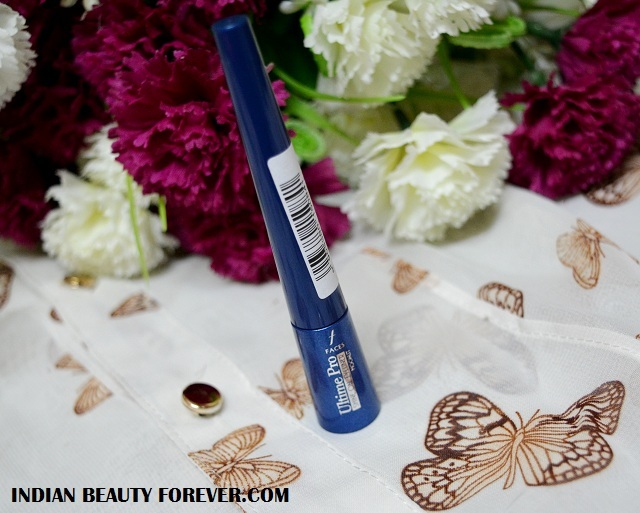 Price: The eyeliner is priced at 699 Rupees. 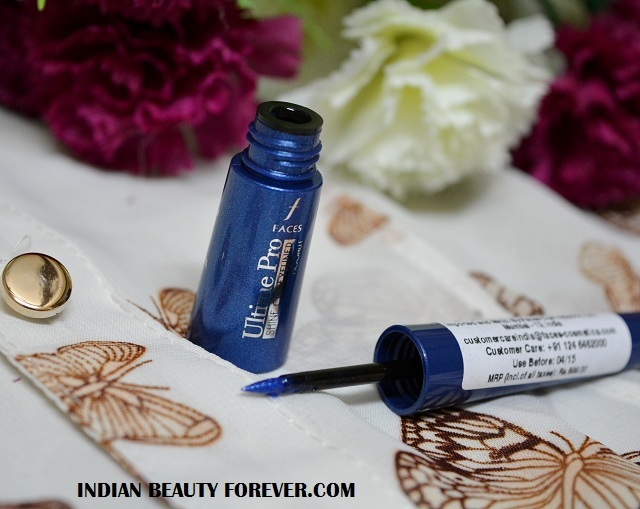 The eyeliner comes in a cute packaging with a long cap that aids in proper application as it also serve to provide better grip. The tiny bottle has a ball or something in it which is used to mix the contents well. The tip of the eyeliner is more like a felt tip dipped in the liquid eyeliner. The tip is stiff though some flexibility is there. Moonlit is a bright blue with micro shimmer silver particles that reflect light and imparts it a pretty alluring sparkly jewel toned finish. 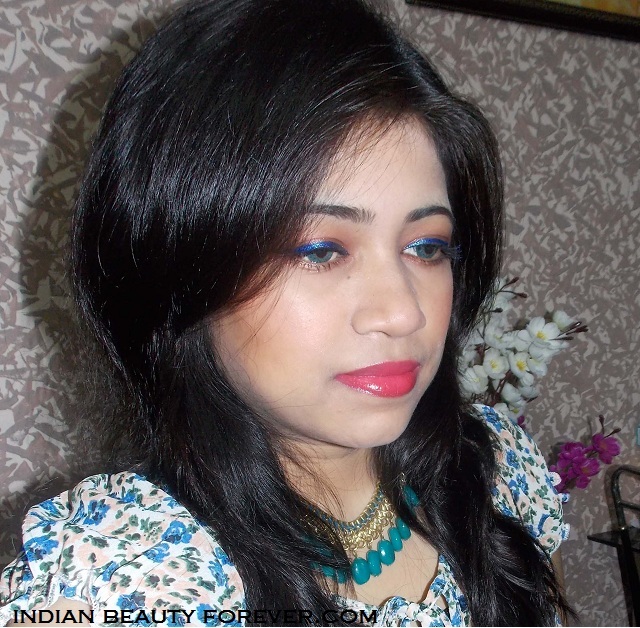 It’s a color that will show up on every skin tone and especially on dusky skin tone, it would look really fascinating. I would love to pair such colors with peachy pink lip color or even bold pinks or oranges. Once it gets dry, it feels very light and nothing as if an eyeliner is applied. It takes less than a couple of minutes to get dry and is waterproof and rub proof. 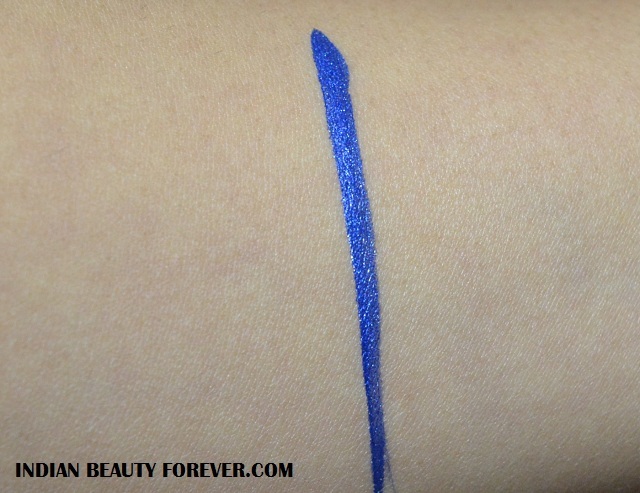 While applying this I feel the consistency of the liner is not even, it is slightly patchy and for that it has to be layered again. It has an excellent staying power since the eyeliner stays the entire day. I feel that is slightly pricey as the similar shades can be seen in other brands at lesser price. Take: Faces Ultime Pro Shine On Eye Liner in Moonlit is a decent eyeliner that can be used to accentuate the eyes. It applies well, though would need layering as the consistency is slightly patchy. It stays on for the entire day and is rub proof and waterproof. Price is tad high; since similar shades are available in other brands at comparatively lesser price.